Working with Alexei Delandros rekindles Natalya Montgomery’s memories of their ardour — but if Natalya once held Alexei’s heart, she now holds his contempt! Natalya’s love blinded Alexei, and then she betrayed him. Now, she’ll pay the price of his revenge! After losing his brother, devastated Giovanni Marcello can’t believe Rachel Bern’s bombshell that he has a nephew. But a smouldering kiss sparks an idea. 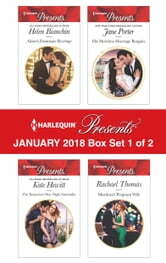 He’ll set a high price for acknowledging his heir: Rachel must walk down the aisle! When Lisa Martinez last saw Maximiliano she was walking out on their marriage, but one last seduction had nine-month consequences! Lisa agrees to return for their baby’s sake. Dare she hope for more than mindless pleasure in Max’s arms? 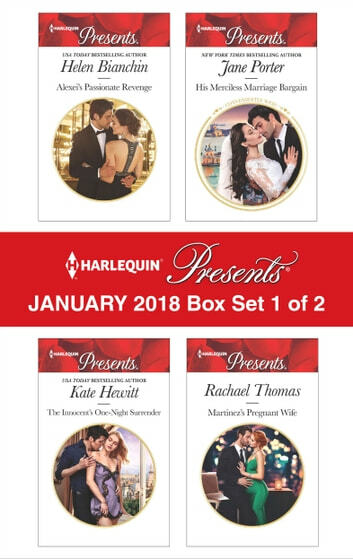 Be sure to collect Harlequin® Presents’ January 2017 Box Set 2 of 2!